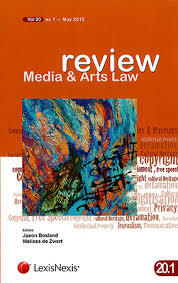 "Interlocutory injunction, freedom of the press and public interest: The University of Hong Kong v Hong Kong Commercial Broadcasting Co Ltd"
Abstract: English common law has long been skeptical, or even hostile, to any forms of prior restraint on publication and expression. The root can be traced back to William Blackstone’s writing in the eighteenth century, and the belief is premised on the necessity to search for truth and to guard against the abuse of power. This closely guarded assumption has resulted in the courts often imposing a higher threshold and exercising careful scrutiny when granting any prior restraint affecting freedom of expression. Yet this poses a vexing problem when handling applications for interlocutory injunctions. On the one hand, freedom of expression arguably warrants stricter scrutiny by the court in any form of prior restraint. On the other hand, an assessment of the merits of a case is deliberately kept to a minimum when granting an interlocutory injunction because of the urgency of the matter in dispute, leaving full consideration for trial. Thus, an interlocutory injunction which has an impact on freedom of expression exemplifies the inherent tension in prior restraint applications. While the United Kingdom has raised the threshold for such cases under section 12(3) of the Human Rights Act 1998 (UK), Hong Kong is left to figure out its own legal standard. This difficult task is well illustrated in the litigation of The University of Hong Kong v Hong Kong Commercial Broadcasting Co Ltd and the Person or Persons Unknown (‘HKU case’), which was an application for an interlocutory injunction to stop further leaking of confidential information based on the doctrine of breach of confidence. The case started out with the refusal of appointment of a well-known legal scholar to be the pro-vice-chancellor of the University of Hong Kong (‘HKU’) by the University Council (‘Council’) in 2015. Reasons were not given by the Council but there was widespread speculation that the refusal of appointment was politically motivated. Following a press conference given by a student member of the Council recounting what certain members had said in a closed-door meeting, secret tapes and audio recordings of the said Council meeting were subsequently given by a secret source to the first defendant. The latter then broadcast certain segments of the meeting conversation, making the audio recording accessible on its Commercial Radio station website and Facebook page. HKU quickly applied for an ex parte interim injunction based on breach of confidence to stop the broadcasting of the audio recording of the Council meeting by the first defendant, but was challenged only with further leaking of the audio recording by the second defendant(s) (the ‘Unknown Person(s)’) in overseas websites based in Taiwan and Sweden. By the time the interlocutory injunction was before Lam J, much of what was said in the relevant Council meeting was already in the public domain. Facing this application for an interlocutory injunction, Lam J did not consider it necessary to apply for a higher threshold despite the fact that freedom of expression is a constitutional right under article 16 of the Hong Kong Bill of Rights. Rather, he has decided to ‘suitably adjust and apply’ the traditional common law approach in American Cyanamid v Ethicon Ltd. At the end of the day, he granted the interlocutory injunction and ordered an expedited trial. Although Lam J’s decision in applying American Cyanamid in a flexible manner is sufficiently plausible from a strict legal perspective, I argue that his decision and reasoning are far from persuasive in the given context. His narrow interpretation on what constitutes public interest, which is an essential element to be considered in the tests of breach of confidence and balance of convenience in American Cyanamid, has titled the balance unduly in favour of the plaintiff. In addition, the judgment has not only revealed the unsatisfactory state of unstructured balancing of private interest and fundamental right in interlocutory applications, it has also highlighted the challenge that internet disclosure and leaking has posed to the practical effectiveness of an (interlocutory) injunction order. The discussion starts with a summary of the refusal of the appointment saga, followed by an analysis of the decision with a focus on the balance between the public interest in upholding confidentiality and the public interest in disclosure as played out in the analysis on the legal doctrine of breach of confidence and the application of the principle of balance of convenience. Click here to download the article.